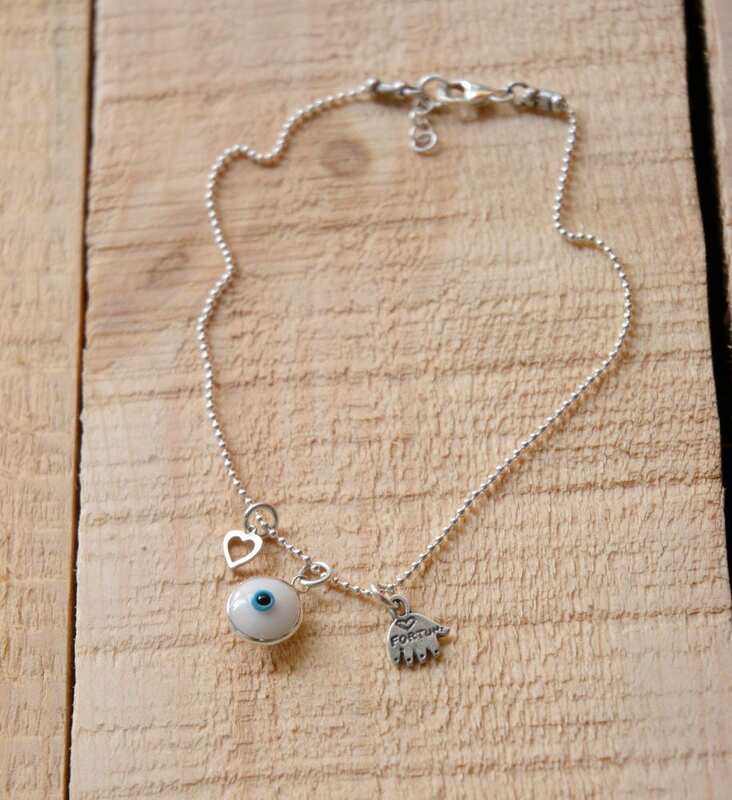 A 925 Sterling Silver Hamsa and Evil Eye Charm Anklet. 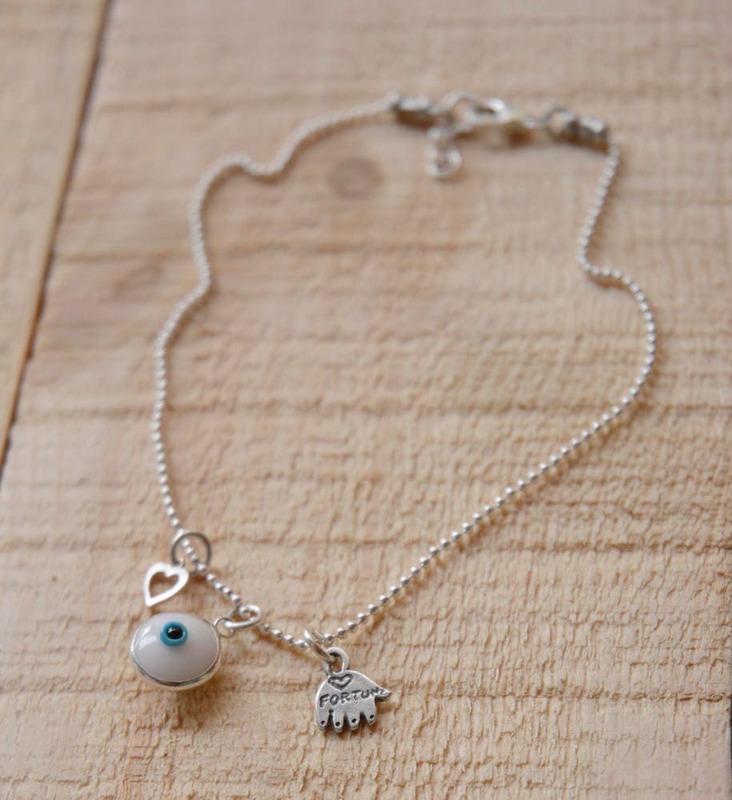 Made with a white and blue Evil Eye charm, Hamsa Hand and Heart charms on a ball link anklet. 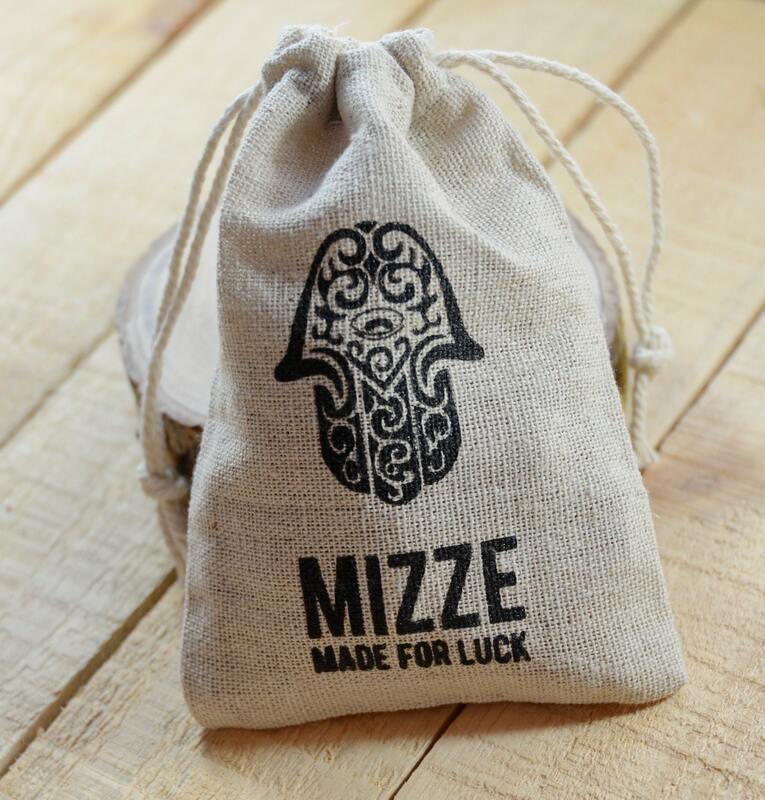 The Hamsa is an old popular lucky charm against the "Evil Eye" and is believed to protect the wearer. 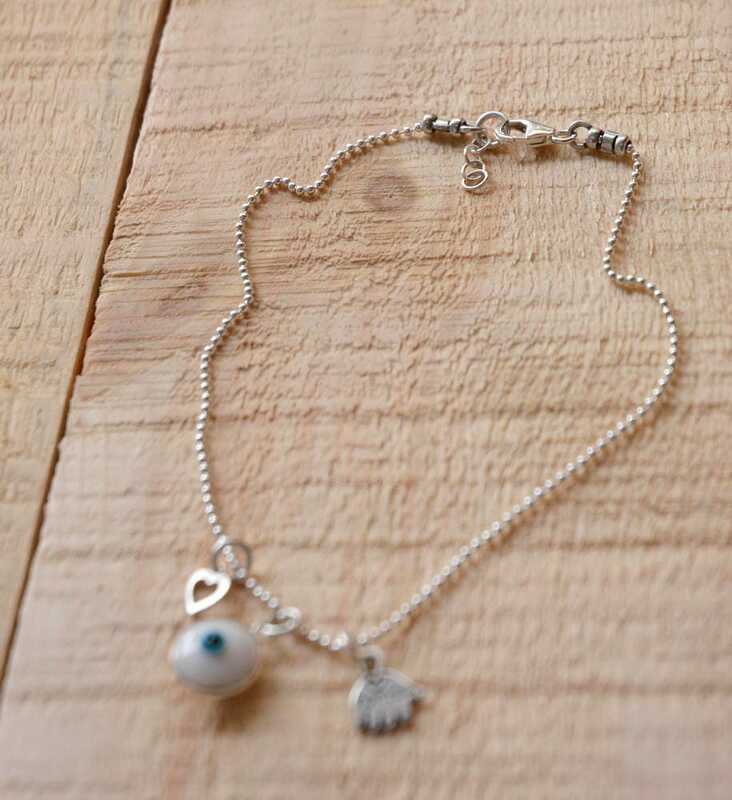 Each Silver Anklet is 9" (23 CM) long, with a 1" (2.5 CM) extension.